The leaks below encompass news ranging from March 9nd to the 15th, 2019. A sketchy Google Pixel 4 XL design surfaced online this week. The document showcases that the phone will sport a hole-punch display with a dual camera setup and possibly a dual rear-facing camera setup. The phone could also use a single rear-facing shooter with a time-of-flight sensor, or two rear cameras. Further, the phone might also feature an in-display fingerprint scanner and stereo front-firing speakers. 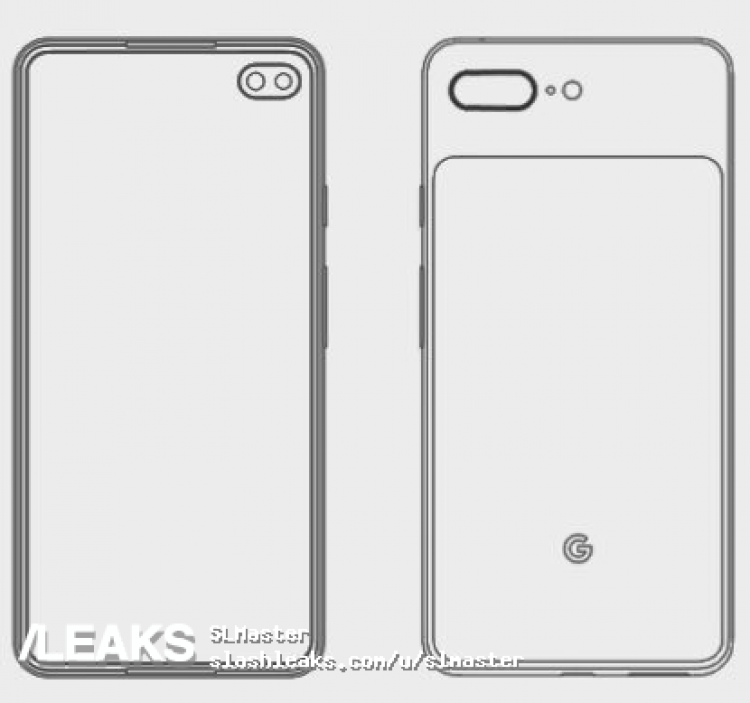 For more on the Pixel 4XL sketchy design, click here. Google could name its mid-range handsets the ‘Pixel 3a’ and ‘Pixel 3a XL,’ according to Android Q code snippets. The pair of devices are likely the ‘Pixel 3 Lite’ and ‘Pixel 3 Lite XL’ that leaked via a variety of Russian publications in late 2018 and early 2019. For more on the Pixel 3a and 3a XL, click here. For more on the Note 10, click here. Specifications regarding Motorola’s foldable Razr smartphone have leaked online. The handset will reportedly sport a Snapdragon 710 chip, up to 6GB of RAM, 128GB of storage, a 2,720mAh battery and a 6.2-inch primary 876 x 2,142 pixel resolution display. The secondary screen has an unspecified screen size with a low 600 x 800 pixel resolution display screen. The phone will reportedly come in white, black and gold. For more on Motorola’s foldable clamshell handset, click here. P30 and P30 Pro specs and renders leaked this past week. Spec-wise the P30 variant features a 6.47-inch, 2,340 x 1,080pixel resolution OLED display, with 8GB of RAM, a Kirin 980 chipset, EMUI 9.1 built on Android 9 Pie, up to 512GB of expandable storage and a 4,200mAh battery. As well as a triple rear-facing shooter with a time-of-flight sensor and an optical image stabilization. Whereas the P30 features a 6.1-inch 2,340 x 1,080-pixel resolution OLED display with a Kirin 980 SoC, 6GB of RAM, 128GB of expandable storage, EMUI 9.1 and a 3,650mAh battery. This device will also sport a triple rear-facing shooter without a time-of-flight sensor. For more on the P30 and P30 Pro specs, click here. 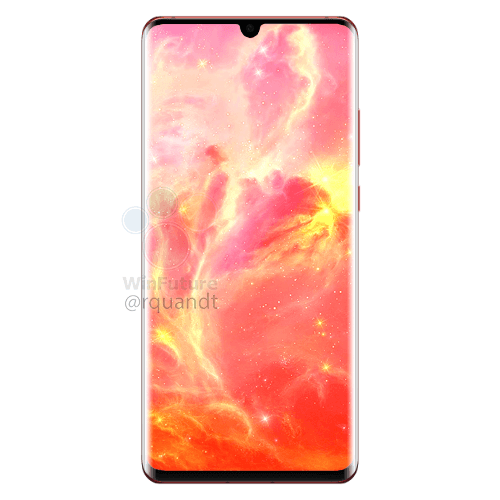 The image also reveals that the P30 will sport a flat screen where the P30 Pro will use a curved display, similar to the Mate 20 Pro. For more on the P30 Pro and P30 renders, click here. To see the Sunrise Red handset render, click here. 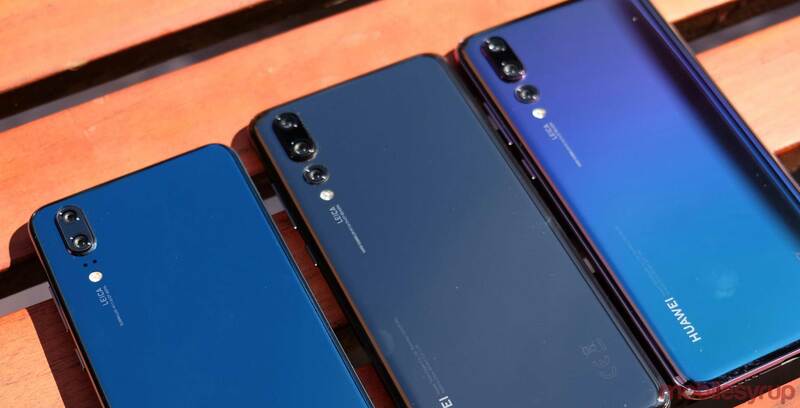 Promotional videos suggest that the P30 will take super bright images, indicating that the handset likely sports some sort of improved night shooting mode. The video also hints that the phone will be able to take super close pictures. This likely refers to the device’s periscope camera, which allows the device to zoom even further than the P20 Pro’s 5x hybrid zoom. For more on the P30 promotional videos, click here.